The issue of land expropriation in SA is fundamentally about urban rather than rural land, believes political commentator Max du Preez. "We see dozens of land occupations in urban areas every week," he said at the annual Nedbank Vinpro Information Day for the wine industry, which took place in Cape Town on Thursday. In his view, a major potential problem lies not in productive land or property, but more in the reaction of "the poor and radicals" when they realise after the election that land expropriation will not happen on a large scale. Du Preez argued that 40% of South Africa's people live in metropolitan areas, and government "does not have a plan to cope with this scale of urbanisation". "Massive informal settlements have sprung up," he said. "When former president Jacob Zuma recently said land is wealth, I so wanted to respond that farmers are not making it financially despite their hard work. There is no money in farming, but that is the line that has been sold to the people. What is the government going to do after the election when people say 'where is our land'?" Du Preez noted that very little progress had been made with land reform since 1994 and said under Zuma it came to a "standstill". He cited a report that found the problem with land reform was not the Constitution, but maladministration and corruption in government. In his view, the "Zuma-faction" planted the change of the ANC policy on land expropriation as a "landmine" for Ramaphosa at the ANC NEC in December 2017. "Ramaphosa faced the choice of the NEC conference collapsing and Zuma remaining in charge or going with this compromise on land expropriation. Now Ramaphosa is stuck with it," said Du Preez. He said a survey by the University of the Western Cape (UWC) indicated that very few black people actually wanted to take the risk of commercial farming. "People who have access to land have been streaming to cities. So if people don't want to farm and those with land have abandoned it, what is the fuss about? 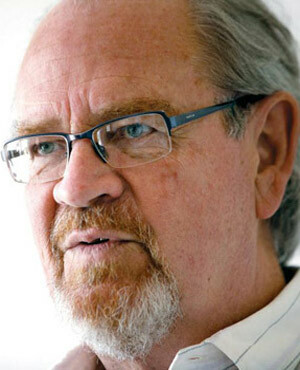 The ANC just did not want to be seen as being outdone by the radicals of the EFF," said Du Preez. "The land issue is not a farming or agriculture issue, but a proxy for the frustration that 25 years since the start of democracy black lives have not changed fundamentally. Let us just wait until after the election. Then we will see the 'real' Cyril."